WASHINGTON. 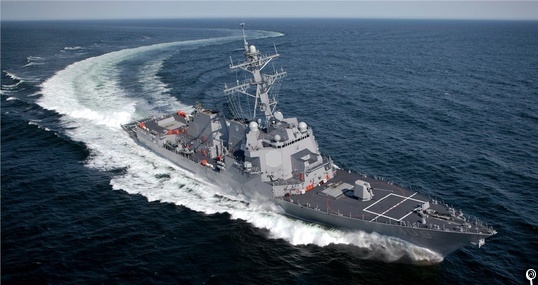 State Department officials approved a possible Foreign Military Sale (FMS) to Australia of equipment associated with the integration of the CEAFAR 2 Phased Array Radar System with the AEGIS Combat System for an estimated cost of $185 million. The proposed sale will add nine Aegis AEGIS capable Future Frigates over the next 20 years and by upgrading their existing three AEGIS capable Hobart Class destroyers with the latest technology and capability. The Government of Australia has requested to buy long lead items, engineering and development activities, establishment of engineering development sites, and commencement of development activities associated with the integration of the CEAFAR 2 Phased Array Radar System with the AEGIS Combat System. The FMS also includes various ancillary equipment and support products, including desktop computers, displays, test units and compilations servers, printers, workstations, spares, cabling and software licenses. Also included are spare and repair parts, support and test equipment, engineering and technical services to support sites equipment, U.S. Government and contractor engineering, technical and support services, engineering technical assistance, other technical assistance, and other related elements of program and logistics support. The prime contractor will be Lockheed Martin, Rotary and Mission Systems in Moorestown, New Jersey. There are a significant number of companies under contract with the U.S. Navy that will provide components and systems as well as engineering services during the execution of this effort.